5 Reasons Cloud MDM Will Save you Money, and 5 That Will Save Your Business - IRM Connects, by IRM UK | IT Blog. 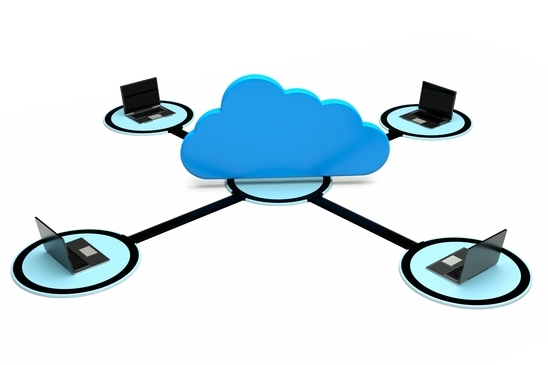 The benefits of cloud computing have been written up and proven in every way imaginable. You need only to look at the rapid growth and ascension of popular consumer sites such as Facebook, LinkedIn, and more recently Uber and AirBnB to see that cloud infrastructure delivers both economic value and business agility. For those of us in the B2B enterprise space, proof points abound from Salesforce.com to Workday and others, it’s undeniable proof that the efficiencies, and cost savings of not just cloud, but multi-tenant public cloud is what is powering the business economy, and driving competitive advantage. At first glance, it may seem that Gartner is saying that it’s not economically viable to deploy cloud MDM, and you shouldn’t consider it. But really what the report is pointing out is their contention that you can’t have your lower infrastructure cost cake and eat it too. Gartner’s belief is that cloud MDM = hosted MDM, with “lower cost of entry” driven by no hardware to buy or upgrade. Unfortunately major companies like IBM and Informatica have done nothing to dissuade this notion, continuing to offer cloud offerings that are nothing more than “wolf in sheep’s clothing”. Their reasoning is based on an incorrect premise that customization/configuration, and in other words the business agility, and capabilities of true cloud MDM solutions lag behind that of legacy on premise offerings that are 10+ years old. The key here is the cost of upgrades. Like Salesforce.com, true multitenant public cloud MDM providers are able to deliver new functionality on a regular basis (usually 3 times a year) with no impact to existing customers. You get a message saying your system will be upgraded tonight, and the next morning you get access to new features, some of which you selectively choose to enable. Contrast this with the millions of dollars that continue to be spent on legacy upgrades of on premise MDM tools, and the ongoing angst of expiring support agreements on older releases. Hosted offerings will also claim this level of support, but the reality is that running an on premise platform in the cloud, does not make it more easy to upgrade. ““The insurer will pay the cost of hardware, database swap out, and implementation if a technology comes along that has the name of “Hadoop” or “NoSQL”. The insured will also be entitled to a full payout if names are eventually replaced by others that may or may not focus on more flexible Graph and In memory capabilities. Hosted offerings that also claim this level of support again face similar constraints as the on premise version. Just running it in a public cloud through managed services does not change any architectural constraints that may exist. For 10+ years data has been acquired/purchased from 3rd parties such as Dun and Bradstreet and IT has had to set up processes to load data in batches into the “hub”.Complete cloud platforms now offer Data as a Service (DaaS), providing an always on, searchable connection between 3rd party data and the data management platform. The same connection also provides access directly to the fingertips of business users on mobile devices. Amazon-style one click acquisition of data is now possible, but only in the cloud. The savings in efficiencies and data delivery are priceless. For modern data management platforms, data-driven applications are part of the complete solution. There is zero integration! Legacy applications that require up-to-date data pushed downstream can benefit from cloud MDM’s next generationmicroservices. Eliminating the complexity of java wrappers, and convoluted API formats to deliver and receive data. Cloud is an opportunity to manage all data at scale. Why not have the ability to handle that pesky Big Data (maybe you’ve heard of it?) transactions and interactions, and seamlessly have both a comprehensive data management platform for all data sources, types, at any scale. And have both analytics and operational execution in the same suite of applications! Impossible at any price? Actually you can have it all for less than the cost of traditional on premise MDM. After 10+ years of on premise MDM, companies are still struggling to get a true customer 360 and something as basic as mapping Dun & Bradstreet hierarchies to ones that actually reflect how they do business. Ironically Gartner’s report that calls for a TCO assessment of cloud vs. on premise has thrown down the gauntlet to cloud MDM vendors. They are demanding that they prove that their functionality is better than those of their elder, on premise counterparts. After all, there is no disputing the pure physical cost savings that cloud delivers. Collectively the time-to-value of a cloud-based solution is what is needed to stay competitive. Those that stay on premise are tempting fate. Cost savings aside, those who want to avoid going down the path of businesses like Kodak, Blockbuster and others need to embrace cloud for modern data management at any cost. It will literally save your business. Chief Marketing Officer at Reltio, a provider of a modern data management Platform as a Service (PaaS) and enterprise data-driven applications. Mr. Chen is a widely read blogger and guest author on the topics of MDM, Big Data and Cloud Computing, and is also a frequent industry speaker and panelist. A former software engineer, he has spent over 25 years developing and marketing Enterprise, Cloud and Big Data software. Most recently, prior to Reltio, Mr. Chen was VP Product Marketing at Veeva Systems, and before that he was part of the core team at Siperian, a market-leading MDM platform acquired by Informatica. He received his Bachelors in Computer Science from the University of Essex.